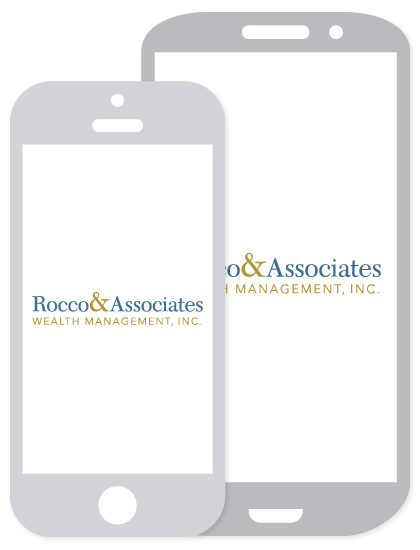 Around the Office - October 2016 | Rocco & Associates Wealth Management, Inc. 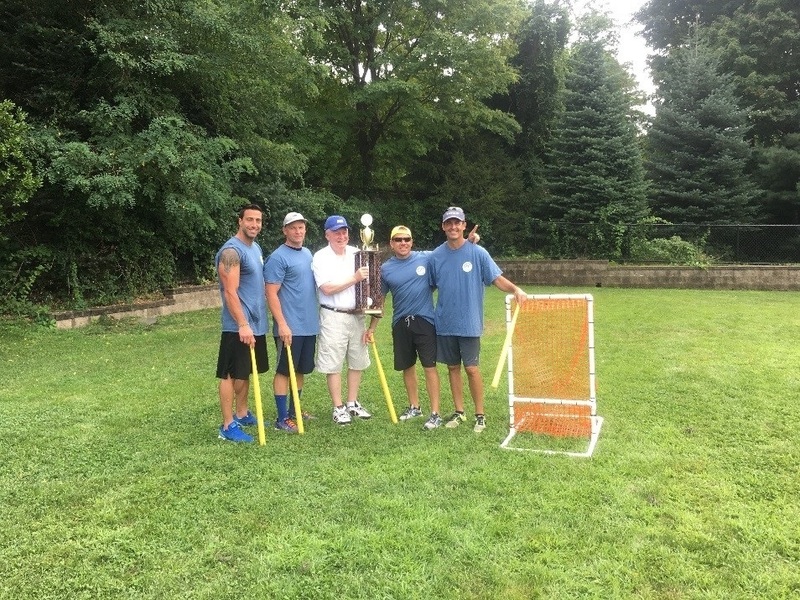 This fall, as part of the firm’s continuing community marketing efforts, the Rocco & Associates team participated in the Third Annual Fairfield Wiffle Ball Tournament. This charity tournament was started as part of the town’s 375th Anniversary three years ago and this year had 16 participating teams from all over Fairfield County and beyond. All proceeds went to benefit the towns Police, Fire and Public Work’s Departments. Our own COO, Eric Johnson, lead the team in this double elimination style tournament, but he and crew did not have to take advantage of the one loss benefit, being the only team that went undefeated during this all day event. Mike Tetreau, Fairfield’s First Selectman, was on hand to deliver the trophy to the Rocco & Associates team. In addition to taking home the gold, the team was the co-sponsor of the event along with Colony Pizza, also located in Fairfield. The team is already gearing up to retain its title in 2017! If anyone would like to get involved with the tournament next year, be sure to reach out to Eric at [email protected]. Be sure to have a look at the hardware next time you are in the office! It’s hard to believe that it is already that time of year again but who doesn’t like a party with good friends and family? 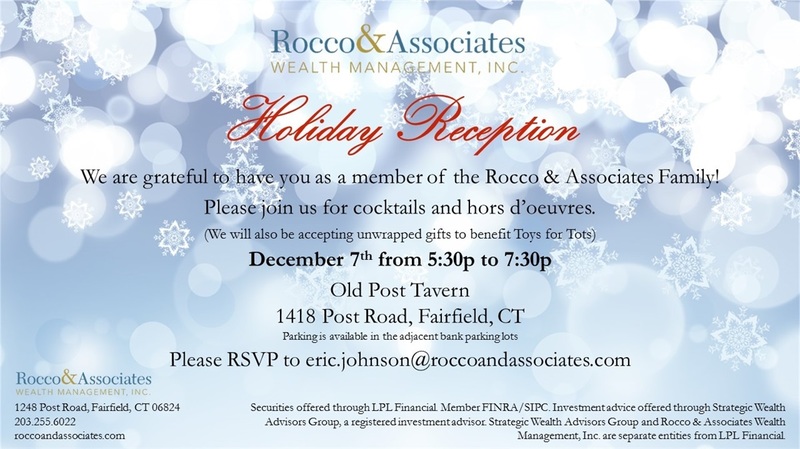 Our Annual Holiday Reception will be held on Wednesday, December 7th at the Old Post Tavern from 5:30-7:30. Cocktails and hors d’oeuvres will be served. In addition, we will again be supporting the local Toys for Tots toy drive and collecting unwrapped gifts at this event as well. Any support is greatly appreciated. We look forward to seeing everyone there and enjoying some holiday cheer! Please RSVP to [email protected]. Alan joined the Rocco & Associates team in the fall of 2016. He is currently a junior at Fairfield University where he is pursuing his Master of Business Administration in accounting and earning the 150 credits necessary to take the four part exam to become a Certified Public Accountant (CPA). Originally from New Hartford, Connecticut, Alan discovered his passion for accounting and business when he first was introduced to it at Northwestern High School. As a dual sport athlete he was captain of the soccer team and ran the 800m and 1600m for the track team, but to this day stays active through a variety of sports and road races. He is looking forward to further broadening his experience in the business development role where he will lead the firm’s social media presence, as well assist in developing unique initiatives to drive new business to the firm. Ryan joined the Rocco & Associates team in the fall of 2016. After growing up in the Toronto, Ontario area his entire life, Ryan came to the U.S. to study at Quinnipiac University and recently graduated with a B.S. in Finance. He is currently in his fifth year studying to receive his M.B.A. In the fall of 2015, Ryan worked with classmates to manage a portion of the Quinnipiac Endowment Fund, doing financial research and making critical investment decisions. Ryan also played four years on the Quinnipiac Men’s Lacrosse Team and became captain in the 2016 season, helping lead the program to its first ever NCAA Tournament appearance. 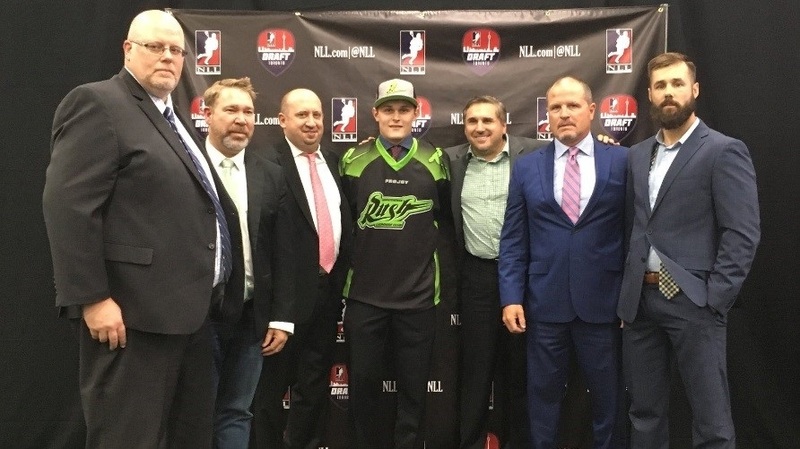 Ryan was recently selected as the first round draft pick in the 2016 National Lacrosse League Draft. His future plans include obtaining the Chartered Financial Analyst (CFA) designation after graduation, pursuing a career as a financial advisor, and playing professional lacrosse part-time. Ryan enjoys fishing and golfing in his free time.